How to Buy Steel Forgings? Home » News » How to Buy Steel Forgings? Can the steel forging manufacturer offer design assistance? Before buyers invest a steel forging into production, it must be designed first based on its application. Of course, such design must follow steel forging process, otherwise it will be unworkable. When searching a potential from internet, before quoting, buyer should first send original drawing to the engineer of steel forging company. As an experienced and capable forging engineer can give you perfect suggestions on improve components for better application, such suggestions can be how to simplify processing and required machining,thus to help save cost. Of course, the prints should be detailed enough for manufacturing, including material specification (alternative chinese material), toleraneces of main dimensions that may affect assembling, heat treatment requirement, hardness requirement, ect. If the parts are machined, then both forging drawings for forging blanks and machining drawings for finish parts should be offered. Forging blank drawing can be ignored as the engineer will help you to leave machining allowance before laying off billets. If there is any doubt about material, buyer could also ask confirmation of steel forging engineer, so that the finished parts could win great woking performance. Does the factory have similar forging experience on the designed part? As nearly all the steel forgings are custom forgings, so forgings produced in each factory are not the same. So for buyers, they'd better ask if the manufacturer has such similar experience. If yes, it will solve much developing time for them to finish first sample, sometimes can even use their existed dies, then buyer will no need to pay tooling cost. Are there equipments required available for steel forging factory to procuce the part? In most cases, steel forging manufacturer must have different kinds of equipments to meet demands of all steel forgings. We can classify steel forgings into closed die steel forgings and open die steel forgings. Closed die steel forgings are small parts with high accuracy, while open die steel forgings are large parts with less machining. So buyer should know what kind of forging the designed part belong to. If closed die steel forging, then you could confirm the tons of forging presses the factory have. 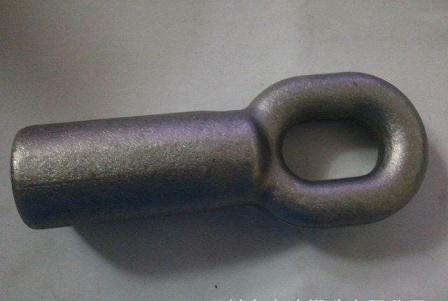 Take our company for example, our largest forging press is 1600t, so it decide that we could not make steel parts over 30kg. For forged ring shape parts, it must be produced by ring rolls according to the inner and outer diameters. Above are some typical considerations for buyers, there are still some other issues they should pay attention to, such as the production capacity, delivery time, ect. To learn more about the manufacturer, an actual visit will be rewarding, as some are not manufacturers,just foreign trade companies.